When Dr. 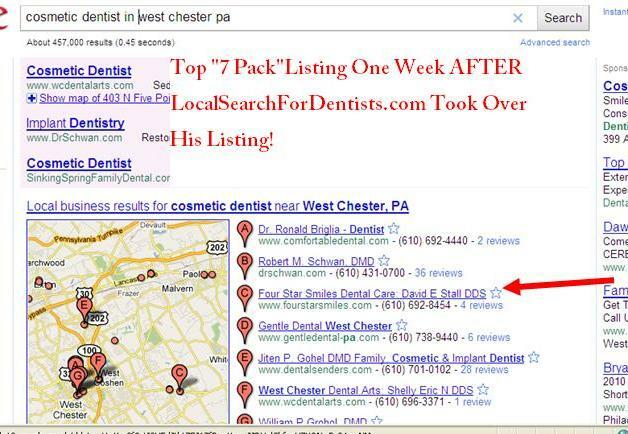 Stall and Four Star Dental Care first came to me to help them get to the Top of the Map, they were absolutely blown away and shocked to find out that they’re practice listing was listed as “Permanently Closed” on Google. The listing was not claimed and just sitting out there ready to be spammed , hijacked or whatever terrible thing your competition can drum up. NOT GOOD! Not only does this absolutely bury you at the bottom of Google, but if someone does find you on the web, in their mind your closed for business. So what do they do…they do what most people do, they move onto the next listing (your competition, down the street) and forget about you! BAM, double wammy…now that’s lost business. So after finding out this terrible disadvantage, Dr. Stall brought us on board right away and we dug in to start fixing this unfortunate mess. 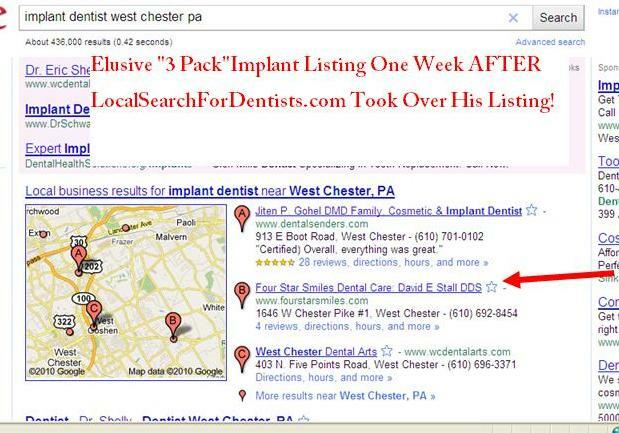 After about a weeks worth of work, we were pleased to report that not only did we get the “Permanently Closed” label off his listing, we were able to get him listed in the Google “7 Pack” for 4 keywords and a highly elusive “3 Pack ” Listing for “Implant Dentist in West Chester PA”. I’ve included the screen shots below. 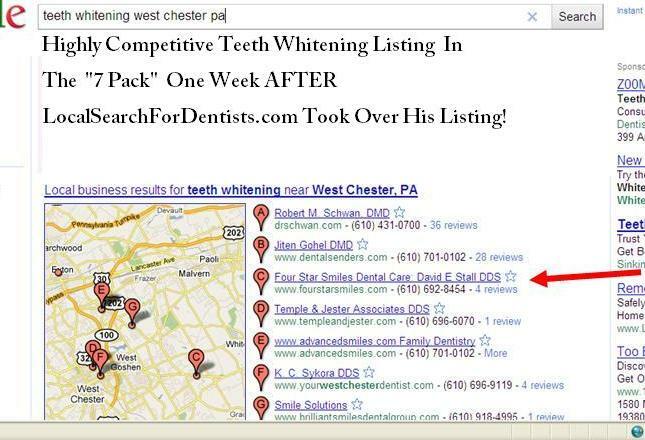 So the moral of this case study, is don’t ignore your listings on Google. 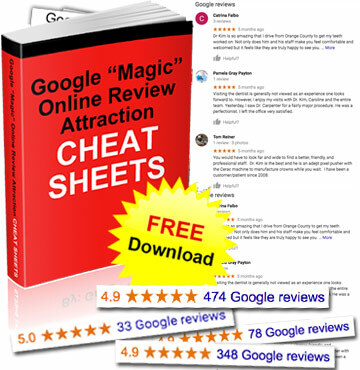 Even if you don’t have one or think you don’t have one, I guarantee Google created one for you that you don’t know about. The strategy is get someone who knows how to analyze a listing and make sure everything is in order. I’ve had a lot of Doctors come to me in the last few months, who have tried to do things on their own and really only violated Google policies and made more of a headache for themselves. So proceed with caution. PS- He was wondering why about 6 months ago, the phone calls significantly decrease and he couldn’t figure out why…it just stopped ringing. And a week after we fixed his Google errors and optimized him properly, the phone calls increased, and once again the phone started ringing again and more patients started calling….what a change!! 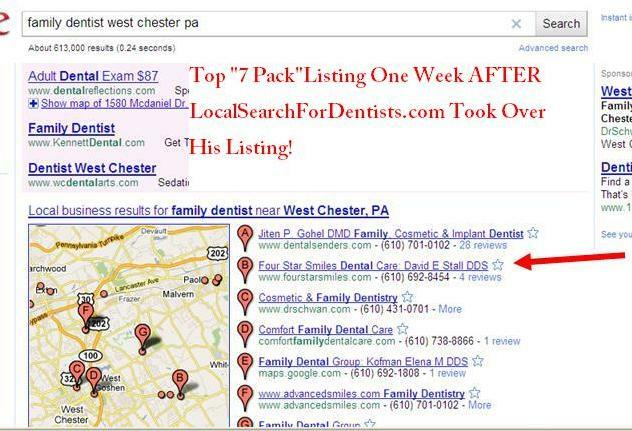 Category Local Search Tips, Success Stories | Bookmark the permalink. I love browsing your site because you can constantly bring us new and awesome stuff, I feel that I must at least say a thank you for your hard work.